Ontario auto insurance is profitable but loss ratios are unsustainable in Alberta and two of the Maritime provinces, Canada’s Property and Casualty Insurance Compensation Corporation notes. “Importantly for insurers, Ontario’s private passenger auto insurance market remained profitable with a loss ratio of 73.0 percent,” wrote Grant Kelly, PACICC’s chief economist and vice president of financial analysis and regulatory affairs, in an article released Friday. “Claims costs in Canada’s other auto markets are increasing. Auto loss ratios in New Brunswick, Nova Scotia and Alberta are unsustainable,” Kelly wrote in Solvency Analysis, an article in the march 2019 issue of Solvency Matters, a quarterly report by PACICC. In Alberta, insurers have been limited to 5% increases on their book of business for more than a year. Rate changes are subject to approval by the Automobile Insurance Rate Board. But AIRB was ordered in 2017 – by NDP Finance Minister Joe Ceci to impose a 5% ceiling. A provincial election is scheduled next month. The 5% restriction is unsustainable for insurers because some insurers are paying out $1.28 (on claims and expenses) for every dollar they earn in auto premiums, said Celyeste Power, vice president of the western region of the Insurance Bureau of Canada, in an earlier interview. The intent of the restriction in Alberta was to ensure consumers do not face significant rate hikes while the government works with the industry to find a solution to the rising costs of auto insurance, a provincial official told Canadian Underwriter earlier, speaking on background. Canada-wide and industry wide, personal lines auto has a loss ratio of about 75%, Darren Godfrey, senior vice president of personal lines at Intact Financial Corp., said last month during Intact’s earnings call. With an industry-wide expense ratio in personal auto of about 30%, the combined ratio is roughly 105%, Godfrey said during the conference call with securities analysts. Ontario auto insurers have been concerned for some time about the province’s rate regulations. A case in point is Heartland Farm Mutual Inc., which was approved in 2018 for a 5% increase. That increase was not enough, Heartland CEO Louis Durocher told Canadian Underwriter in 2018. In Ontario, it is difficult to say exactly what rate increase an insurer should even ask for. “Our knowledge (now) of what rate increase we need may not reflect the reality just a few months from now,” Durocher said at the time. 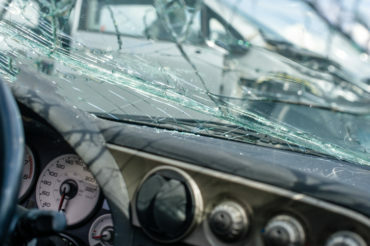 A major factor in increased auto claims costs is advances in vehicle technology that makes the repair cost, on a late-model vehicle, more expensive than it would have been for an older vehicle in the same collision, Durocher said.